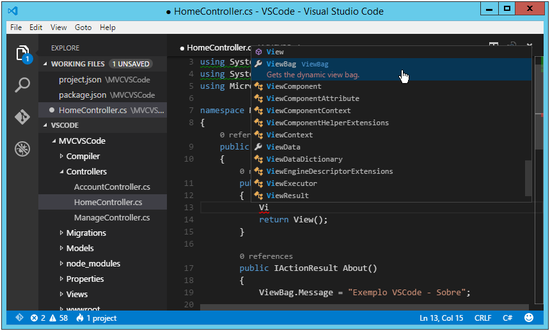 The purpose of this article is to present the Visual Studio Code, a new cross - platform code editor available from Microsoft, offering an alternative to the development of .NET solutions in environments such as Mac OSX and Linux (or even from Windows itself ). 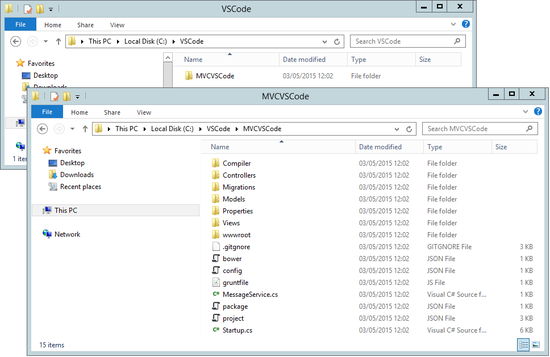 In the following sections it will be shown how the Visual Studio Code can be used in the implementation of a new MVC 6 / ASP.NET 5 application, in order to present more details of some of the existing functionalities. 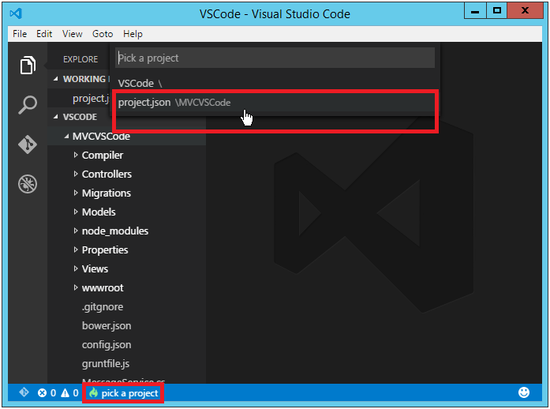 Before you can deploy a project from Visual Studio Code, you will need to install this tool and perform a series of configuration adjustments. 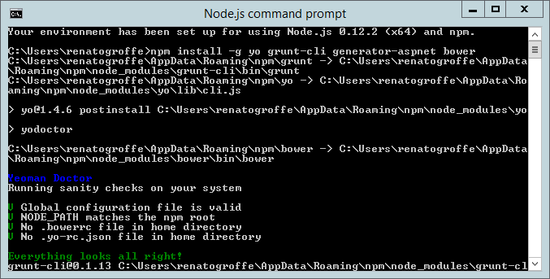 As a first step will be configured to use the .NET SDK Manager (DNVM), a manager responsible for installing and updating the runtime used in running applications (accessible from a command known as "DNX"). Yeoman: gerador que faz uso de templates para a criação de novos projetos (é a partir deste utilitário que se montará o projeto de testes). 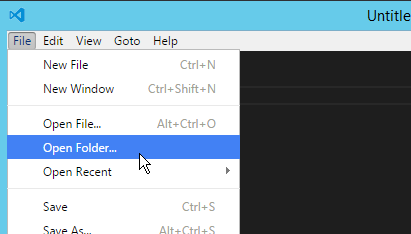 The Visual Studio Code has a shortcut for executing commands that would normally be triggered from the prompt: this is the Ctrl + Shift + P key combination . 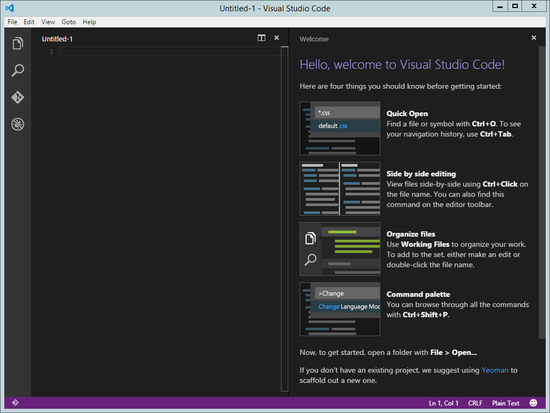 This article sought to outline, in general terms, the different steps for implementing an ASP.NET 5 application with the Visual Studio Code. 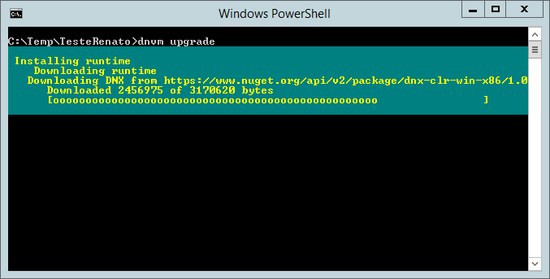 Although the details discussed here are based on a Windows environment, most of the procedures presented also apply to machines running Mac OSX and Linux systems. 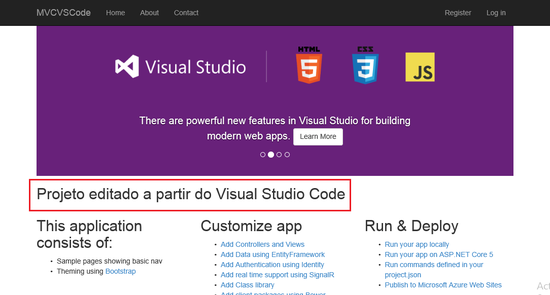 Ótimo artigo, estou testando o Code e realmente ele é muito bom. Obrigado Henricke, fico contente que tenha gostado! Seria importante ter estes códigos disponíveis em algum repositório público. Adicionalmente poderia ter a lista de versões de softwares que você utilizou neste exemplo.